Internet of Things (IoT) applications continue to build momentum in June at the Agribusiness NZ Fieldays. This years Fieldays increased in IoT use cases to help the farmer increase productivity, help decrease costs with smart sensors in paddocks, through to precision application of effluent on farm. Also not so good is the increase in compliance requirements on farm like the new Milk Vat Monitoring requirements effective 1st July for dairy farmers. These new compliance requirements are a challenge for the farmer but an opportunity to drive the adoption of Internet of Things on farms to help the Farmer consolidate compliance gathering information and redistribution to the right places. Keep an eye out on this IoT compliance consolidation space. We did also see more Lower Power Wide Area Network (LPWAN) use cases this year, this included the early adopters of Spark’s LoRaWAN AS923 network, Sigfox, Cat M1 and NB-IoT. You can track herds everywhere, track fence status, capture weather conditions in more places, alert when traps catch prey, track assets, and much more to come. What I would point out is that LPWAN connectivity and device cost will come down faster than cellular, but you still have the same cost of resources to deploy into the field and to look at LPWAN solutions as one part of your total solution offering not purely as a low cost offering only. Please note if your expanding into Australia then we can help you with the same M2M One Control Centre setup from our M2M One Australian Team using the Telstra Network. Contact Us with a request to be introduced to our Team in Australia and we will make that happen for you. Is LoRaWAN AS923 network ideal for you? Spark’s LoRaWAN network that was launched last month across most main centres is specifically designed for Internet of Things (IoT) and Machine to Machine (M2M) applications. The network supports long range, low power, and secure end-to-end bi-directional communication. LoRaWAN is a long-range technology and the link between device/sensor and network gateway relies on line-of-site radio waves that passes through some obstacles but can be aborted or reflected by others. Overall range depends on device/sensor being indoor/outdoor, elevation, gateway performance, antenna used, etc. LoRaWAN technology allows deep indoor penetration which is great for energy meters, control modules, and parking sensors that are often deep in buildings or even underground. LoRaWAN is designed to reduce power consumption which is ideal for devices without mains or solar power, allowing for long lasting battery-powered connected sensors, 10+ years can be achieved if devices are programmed to be in deep-sleep mode while not transmitting. Spark’s network specifically supports the LoRaWAN AS 923 MHz LoRa Alliance standard and devices need to support this standard to operate on the network. LoRaWAN sensors that send small messages at regular intervals and trigger when there are events or alarms are perfect for the LoRaWAN network, but as the speed is extremely low the network is not suitable for real-time data or file transfers such as sending photos. LoRaWAN has two future-proof layers of security, one layer is for the network which ensures mutual authentication between device and the network as part of the OTA (Over-The-Air) join procedure, and the other layer is for the application that ensures that the network does not have access to application data as it is transmitted and protected through AES end-to-end encryption. Spark is continuing to expand LoRaWAN coverage within and around main towns and centres and options are available if you require coverage outside planned areas. 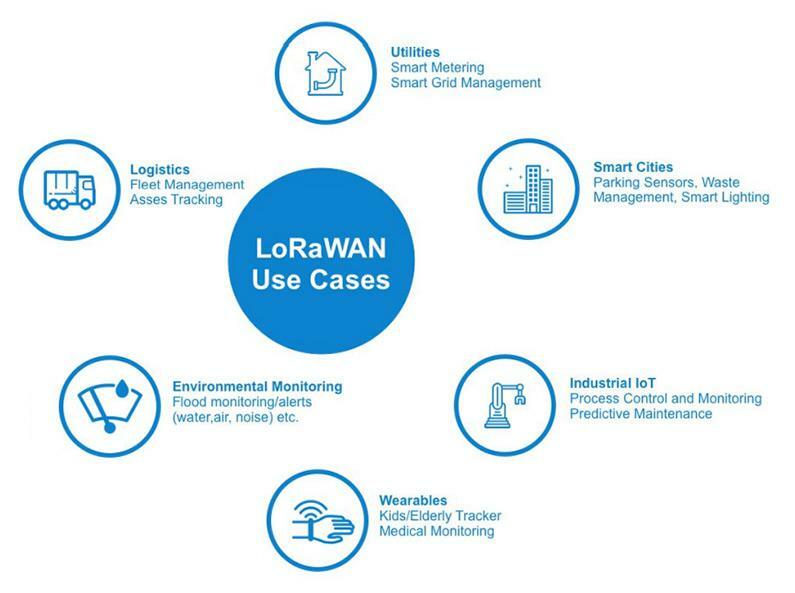 It could well be that LoRaWAN characteristics suit some of your IoT devices. If so, it might be worth taking a closer look. Check out more about this technology and our LoRaWAN solution here. We are putting together LoRaWAN connectivity bundles and making them available for this exciting network. Please contact us for further information. The Diagnostic tool in CISCO Jasper provide quick insights into SIM performance. Provisioning Failed – When you see this status it means your SIM card is simply not provisioned in a state that allows network activity in CISCO Jasper. This error will occur if your SIM cards are in any other state apart from Activated, Activation Ready or Test Ready. If you see this error, simply change the status of your SIM card in CISCO Jasper to the correct SIM State. SIM/Device Failed – This error appears when the SIM is in a usable state in CISCO Jasper but is blocked at a network level, this typically happens when a SIM on a CAP plan has hit its data limit for the month or there has been a provisioning error at the M2M One side. If you see this error contact support@m2mone.co.nz for immediate help. Attacks on industrial IoT are relatively new, but the impact can be devastating. Initially started as state-sponsored destruction of infrastructure, such as Stuxnet, more recently a trend has emerged where industrial computing systems are overtaken to mine cryptocurrency. The threat to more common industrial operation will grow, where IoT will be involved in 20% of enterprise cyber attacks in the next few years, according to Gartner. 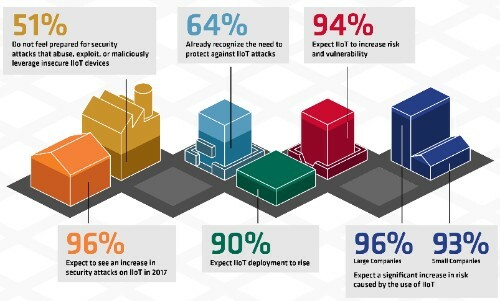 The majority of recently surveyed CIOs expect an increase in cyber attacks on industrial IoT devices, and half of them feel unprepared for it. Only 20% feel confident in their ability to fend off attacks (Deloittes). Security managers in utilities and major infrastructure industries are particularly concerned about malicious actors. 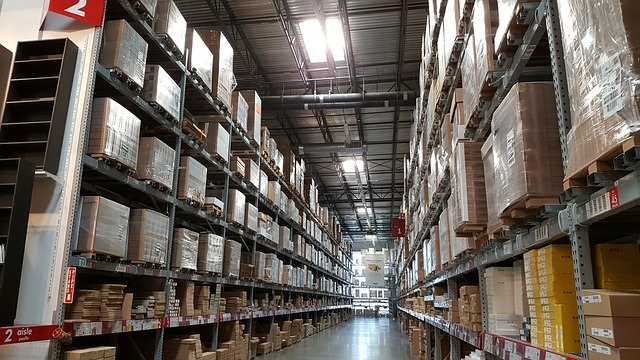 Substantial benefits can result from connecting warehouses. Mostly, they aren’t currently connected beyond wired temperature sensors. Proprietary warehouse management solutions have been adopted by some, and a few fully automated proof of concept warehouses have been built, but mostly, benefits from IoT have not been fully realized. Building heath, movement management, predictive maintenance and asset management are all areas of potential, but important barriers stand in the way of fast and ubiquitous adoption, including complexity in integrating available devices, needed data histories to make predictive analysis useful and the development of analytical skills to marry diverse and complex data sets, and to produce actionable insights. Optimised resources, work and equipment will all have meaningful monetary rewards, removing as much waste as possible from warehousing operations. Eventually these will become competitive advantages for those who invest.